Picture this; Fridaymorning and on our marathontrainingschedule was a 1,5 hour run. But, we had only arrived in New York the day before and it was 1.4 degrees fahrenheit. Did we mention that already? 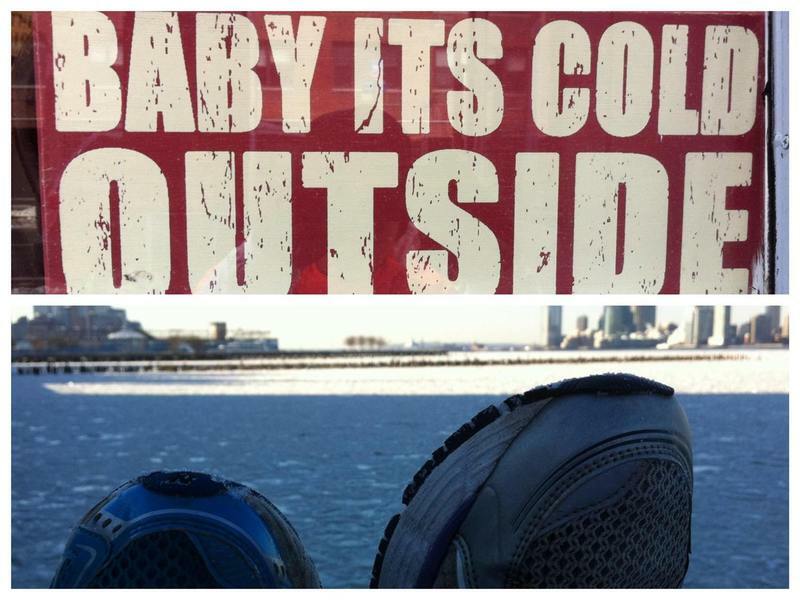 Even the Hudson was cold. There was ice floating on it! We quickly decided to ignore the schedule and to just go for a run. At 07:30 in the morning. We started at 113 Jane Street (downtown). We did a couple of Surya Namaskar's (sun salutations), received some strange looks from people passing us and ran to the Highline. And across. It was great, even though some points were really slippery and we had to be careful. 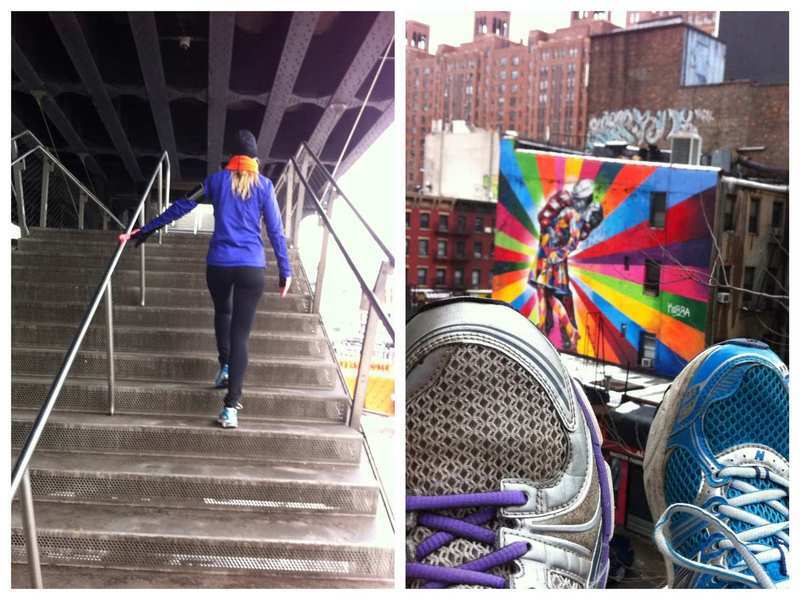 We did the Highline all the way until the end, at 30th street and then turned right, up to 8th Avenue. We saw little kids being brought to school, little dogs that were taken for an early morning walk, we saw packages being delivered....there was a lot to be seen. 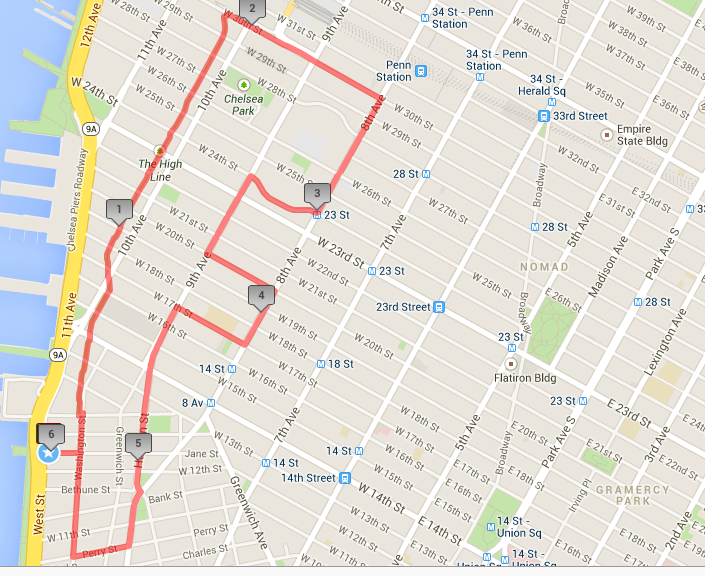 We went back and forth between 8th and 9th avenue and discovered a Gristedes at 24th street. A supermarkt (chain) which we often visited while staying in Chelsea. And where we were greated with a sweetie, darling and dear every time. When we hit 17th street went to the 9th avenue and passed Buddakan, where we had made reservations for later that week. And saw a really cool cakeshop. And the Spice Market. And Chelsea Market. And then we felt we had run enough and that it was time to go get some breakfast. 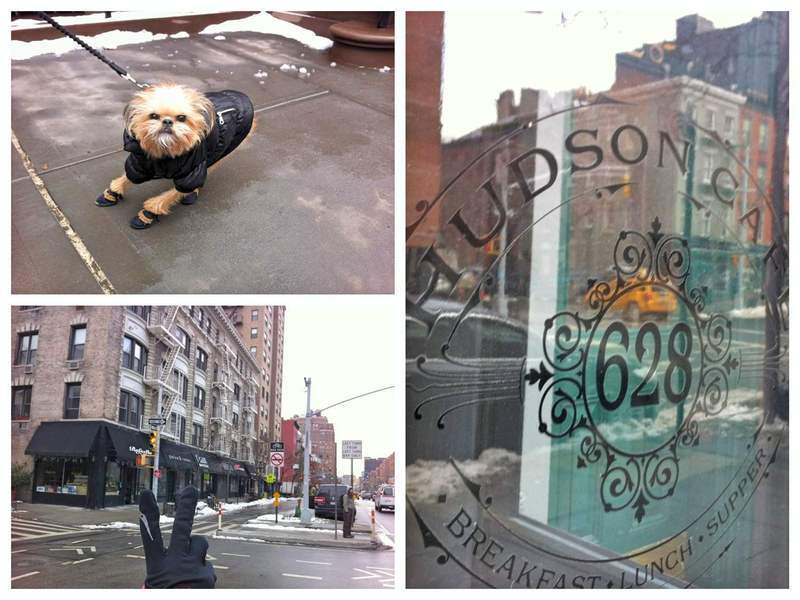 We ended up at the Hudson Cafe on Hudson Street. Our run was 6 K / 3.7 miles and it took us almost two hours. But that included the slipping and sliding, photostops and breakfast. Nothing fancy, just a clean and good room in a perfect location. The LES is great! Brookfield Place and the One World Observatory. A perfect combination downtown on the Hudson. We´ve stayed here a couple of times. Each in our own small, but cosy, “standard cabin”. This old factory is now a favorite place of locals and tourists. Get a great taste of NY. The Corner Bistro is where you get “amazingly good burgers at a reasonable price”. A huge hit for more than 10 years, The Spotted Pig in the midst of the Westvillage. Some tips and tricks and need to knows for your visit to the One World Observatory. Hotspots everywhere. Which change often. But in Meatpacking District you never can go wrong.